Akshay Kumar‘s father Hari Om Bhatia was a soldier who served in Indian Army for sometime. He joined UNICEF in Delhi as an accountant. Hari Om Bhatia struggled few years with prostate cancer and died in 2000. In the memory of his father he named his production house as “Hari Om Entertainment” and also built a shelter named “Hari Om Cancer Shelter” exclusively for police personnel. Akshay Kumar’s mother Aruna Bhatia is a housewife. He has a very special bonding with his mother, he spends his birthday with his mother every year without fail, he cuts his birthday cake with her. His mother suggested him to be a strict vegetarian till the completion of his film Krishna Vs Kanhaiyalal and he happily agreed. He has a sister named Alka Bhatia. She married builder Surendra Hiranandani on 23rd Dec 2012. It was a big traditional ceremony. For both Surendra Hiranandani and Alka Bhatia it was the 2nd marriage. 55 year old Surendra divorced his first wife Priti in 2011. The Kiladi has many interesting love affairs during his successful career. He dated Pooja Batra, Ayesha Jhulka, Raveena Tandon, Rekha and Shilpa Shetty before marrying Twinkle Khanna. The couple fell in love during the filming of International Khiladi and Zulmi. They tied the knot on 14th January 2001. 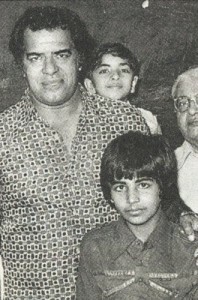 His father in law Rajesh Khanna is an actor, producer and politician. He is also known as “first superstar, he is regarded as one of the most influential actors in Hindi cinema. He worked for 180 films in total. He died on 18 July 2012, at his bungalow, in Mumbai. 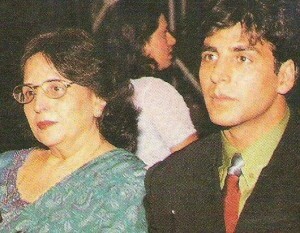 His mother in law Dimple Chunnibhai Kapadia was born on 8 June 1957. She made her film debut when she was just 16 years old. 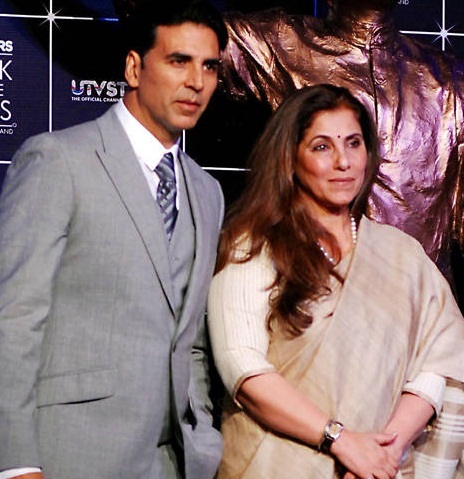 She married Rajesh Khanna in 1973 and the couple gave birth to Twinkle Khanna & Rinke Khanna. Unfortunately the couple were separated in April 1982 and she took the custody of children. In 1985 in an interview she said “The life and happiness in our house came to an end the day I and Rajesh got married.”. But in 2010 the couple buried their bitter feelings and did his election campaign together. After the marriage Twinkle Khanna stopped working for the films and dedicated her life for family and children. The couple are blessed with a son Aarav Bhatia born on 15th Sep 2002 and a daughter Nitara Khanna Bhatia born on 25th Sep 2012.